Silver Tufa Naja On Brown Leather Necklace hand made by Jeff DeMent. Silver Tufa Naja On Brown Leather Necklace hand made by Native America artist Jeff DeMent. 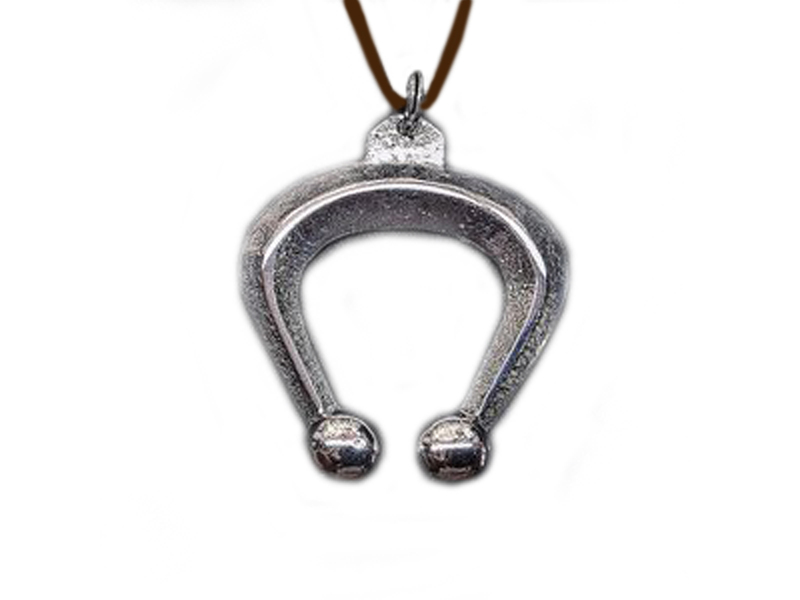 This fabulous necklace features a handmade tufa cast naja hanging from a leather cord. The leather cord is 26″ inches long. Jeff DeMent is from the Dine’ (Navajo), Bit’ahnii Clan. He is the oldest son of George and Grace DeMent and grandson of Georgina Cohoe’ of Two Grey Hills, New Mexico. 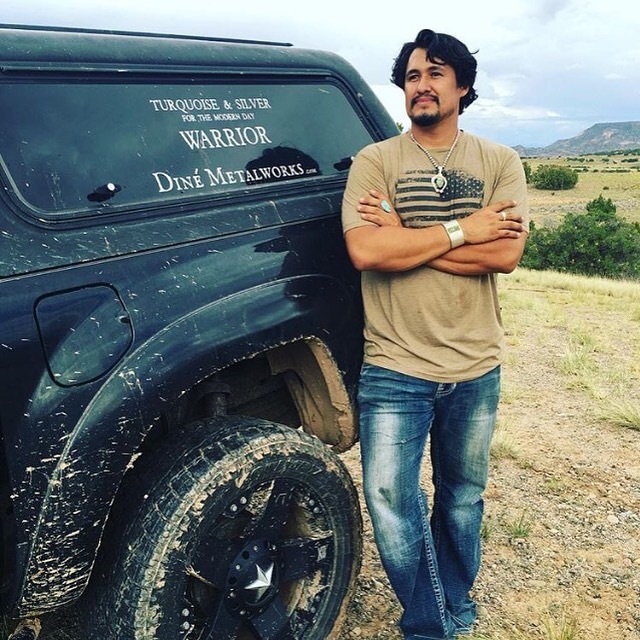 His life has come full circle, from innocent childhood to military combat, death, destruction and violence, and now an opportunity to bring beauty and a sense of peace back into the world through his work and traditional Diné (Navajo) Silversmithing. 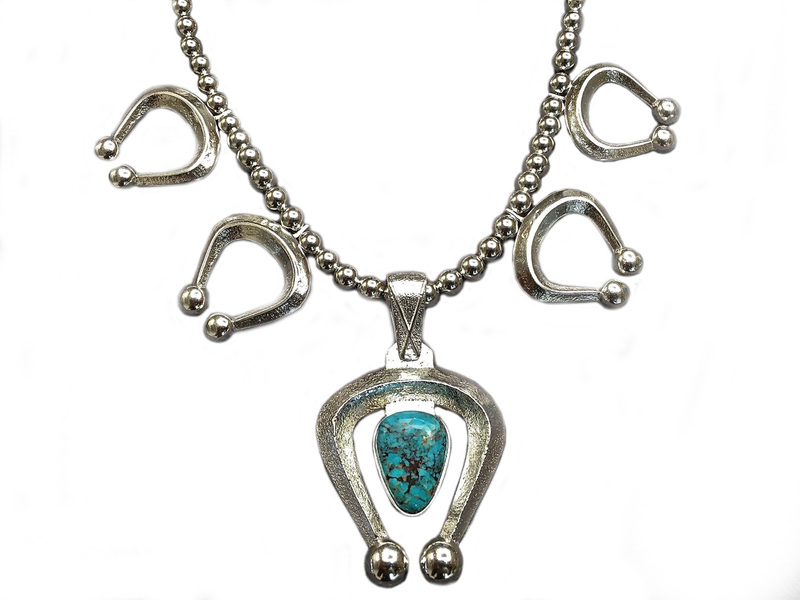 DeMent’s work is hand-crafted using a traditional Diné technique called Tufa Casting that dates back to the 1800’s. 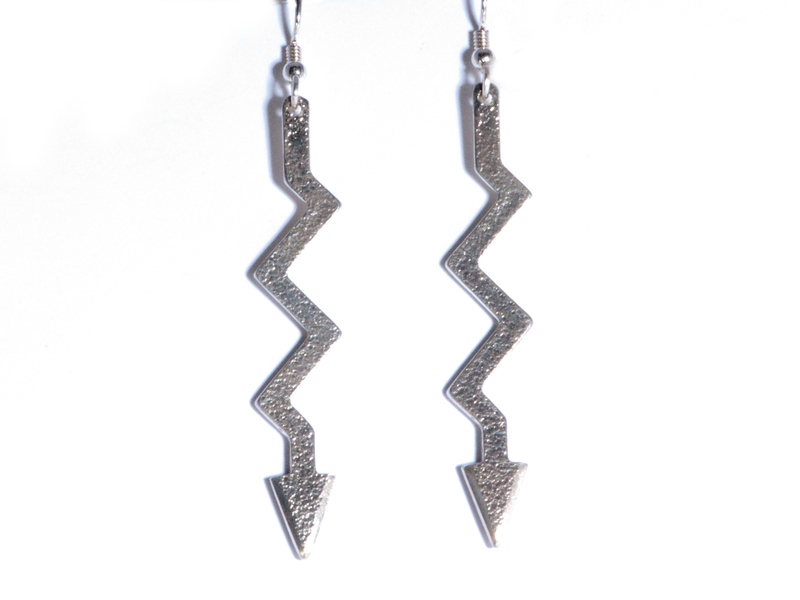 His original designs are hand carved into Tuff, a compressed volcanic ash commonly called Tufa Rock, to create a mold. He then heats the mold and pours molten silver into it to form each piece. After annealing, the silver is hand cut, filed and formed. The Tufa molds are only used once, making each and every piece a true one-of-a-kind.